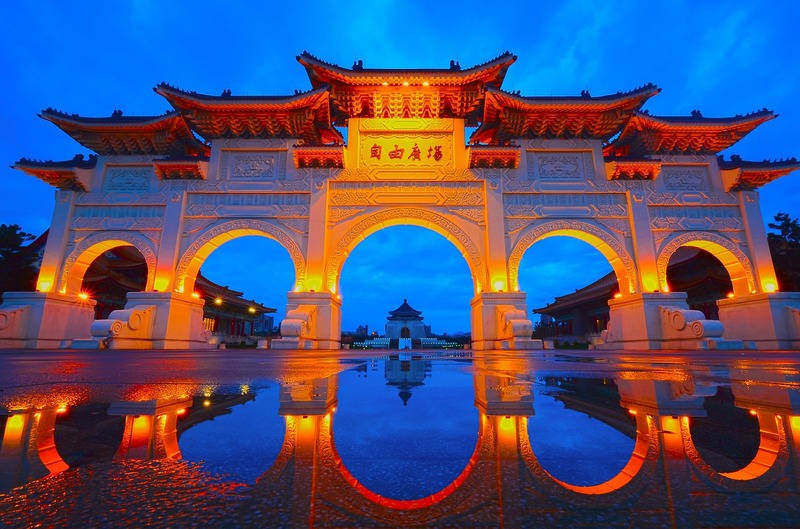 The main gate to Liberty Square in Taipei, Taiwan. Courtesy of MaxPixe. I was born and raised in one neutral country, Switzerland. As an adult, I moved to and became a citizen of another neutral country, Sweden. I have experienced what it means to live in societies developed on peaceful and stable ground. In 2017 my first home country, Switzerland, celebrated the 500th anniversary of its last military action abroad. In Sweden, more than 200 years have passed since the Swedish army was engaged in foreign war (at that time, an occupation of neighboring Norway). In both my home countries, neutrality has thus stood the test of time and reinforced the democratic nature of the governments. Which is why neutrality deserves more attention, especially in small and vulnerable democracies around the world. The planet is already moving in that direction. The primary international tactic for most countries is no longer archaic military violence, but engagement in smart public diplomacy based on international law. A more diplomatic and law-based world fits the notion of neutrality, which means that a country does not join any military alliance or engage with other countries as a belligerent. Historically there have been as many forms of neutrality as there have been countries to declare it. And yes, there have been some cases, as in Austria after World War II, when a country was obliged by foreign powers to become a neutral state. In the Swiss case, the concept of neutrality goes back to the Second Peace Treaty of Paris in 1815, which allowed Switzerland to become a self-governing territory. But at that time, Switzerland was just a loose network of independent states. It took another 33 years—and, in fact, a civil war between the various states of the country—to establish the current federal, democratic state by referendum in 1848. That state was explicitly neutral. And this direct engagement of Swiss citizens in state affairs—via votes in referendums and citizen’s initiatives— has served to enforce neutrality. When people get to make decisions, they often choose peace, stability—and neutrality. The Swiss have, however, retained an army. Indeed, for many decades, it was said that Switzerland was an army. This reflected a triumphant megalomania in the country after it had kept itself out of two disastrous world wars that consumed its neighbors. But later in the 20th century, Switzerland reduced what had been one of the biggest and most expensive armies—a “protection force for neutrality”—in the world. Neutrality is not static. It requires constant development and fine-tuning. The Swiss have long debated and changed exactly how their neutrality works. But the debate is always open; the Swiss consensus is that neutrality is a security issue, and security issues should not be left to a small circle within government or parliament, at least in a democracy. One very long debate involved Swiss membership in the United Nations. Supporters of neutrality for decades argued that such a membership, which could imply participation in military operations abroad, would not be compatible with being a neutral country. In 1986, two-thirds of Swiss voters said no to UN membership. But voters narrowly approved the same measure in 2002, making Switzerland the first country to join the global organization by referendum. My other home country has made a similar connection between democracy and neutrality. Sweden has debated whether to join NATO—as some politicians from national right-wing parties are demanding—but that would require a popular vote. Sweden’s neutrality dates back to the Napoleonic wars, when the Nordic kingdom lost more than one-third of its territory. Since 1812, Sweden has not initiated any armed combats and has declared itself a non-aligned and neutral country. In contrast to Switzerland, this policy has never been enshrined in international treaties and Sweden has always understood its neutrality to be proactive, which has allowed it to be involved in peacekeeping efforts around the world. It also has joined the European Union and forged agreements (though not membership) with NATO. Neutrality is not static. It requires constant development and fine-tuning. The Swiss and Swedish examples show the different options and limits of neutrality. The stricter Swiss neutrality limits the international options of the country, but its stand is more credible than Sweden’s more pragmatic approach. At the same time, Sweden can react more flexibly to changing security challenges. Taking these risks and benefits into consideration, when I think about the links between peace, stability, democracy and neutrality, I wonder about the power that neutrality might hold for a place under threat, like Taiwan. Taiwan is a country of 23 million, adjacent to a larger nation of 1.3 billion, which maintains the right to invade its smaller neighbor whenever it chooses. What kind of protection does such a place need? Taiwan has built up its military forces and weaponry, and it has made alliances with the United States and as many other countries as it can. The goal has been to counter the threat with defense. But the Chinese threats continue—indeed, they have recently increased. So the more important piece of security might involve the example Taiwan presents to the world. Taiwan democratized three decades ago, and it has sought to make its democracy more participatory over the years. I have visited some 15 times to observe elections and referendums, and work to enhance the country’s system of direct democracy, which is now considered a global model. Using that democracy to embrace neutrality formally has been discussed, and the idea has a couple of virtues. First, it would reinforce Taiwan’s democracy by setting a policy in line with the views of its people, and making it clear that no government could simply go to war. It also might provide real security, and broadcast to the world that Taiwan is devoted to peace. Again, Switzerland and Sweden are good illustrations of how such a proactive policy of democracy and non-aggression can deter invasion (Switzerland’s ability to stay out of the world wars being the prime example), while also creating a globally recognized brand for the country. If China invaded an officially neutral Taiwan, it would be threatening and attacking an open, democratic, and peaceful country—a difficult position for its autocratic government to defend. Of course, there is no single or simple solution for the complicated security situation in East Asia. But a Taiwanese move to neutrality would project self-confidence, and a message that should impress the world. It also would allow Taiwan to focus more on its internal development, including making greater advances in its democracy. The country’s cities, in particular, are seeking more sovereignty and control from a national government that has long centralized power, in part by arguing that a strong national authority is needed for security reasons. Neutrality, in combination with democracy, is not a guarantee of a country’s eternal life. But history suggests it is better insurance than the most sophisticated weapons systems. Bruno Kaufmann is global democracy correspondent for Swissinfo and editor-in-chief of the democracy platform People2Power.info. He also serves as co-president of the Global Forum on Modern Direct Democracy, which meets in Rome in September 2018 and in Taichung, Taiwan, in October 2019.